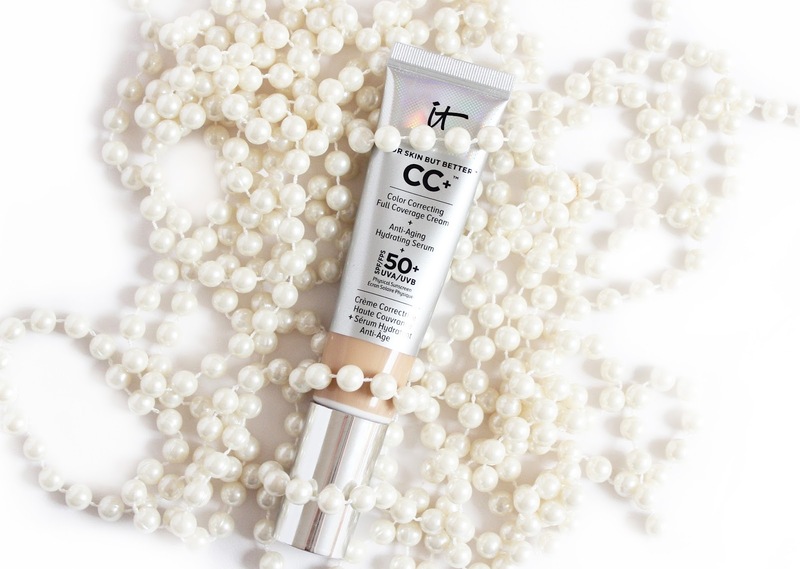 IT Cosmetics CC Cream £30 I had heard so many great things about IT Cosmetics from the concealers to the mascara, so when I found their counter in Selfridges, I was excited to check them out. I have an obsession with foundations so obviously I decided to try out their CC Cream, I haven't tried one before so this was my first impression of how they work. This product claims to be full coverage, it has an SPF of 50, is anti-ageing and hydrating on the skin. I've used a lot of full coverage foundations, the Kat Von D Lock It Foundation, Estee Lauder Double Wear and Mac Studio Fix Fluid and I personally would say this foundation is medium coverage. It didn't cover a lot of my redness, acne and acne scarring like other foundations I've tried and I still needed quite a lot of concealer to cover everything. It's still a decent amount of coverage but I am used to heavy foundations and this just doesn't compare. The foundation is great if you have dry skin as it's really hydrating and also feels incredibly light. It applied nicely and didn't accentuate any of my dry areas which is quite rare when I try base products. However I personally can't comment on the anti-ageing claims as I'm still fairly young and I didn't notice any difference in my skin while I was using this. The best way I've found to apply the CC Cream is with a Beauty Blender as it did apply slightly streaky with a brush and the Beauty Blender tends to provide more coverage which I like. I really like the packaging as you get a pump which is handy and it's great for traveling or popping in your handbag as it's not going to potentially smash like glass bottles. The only negative is that I don't think the actual product will last a long time in comparison to other foundations as I've had it for four weeks and I seem to have used quite a lot of it. Saying this, you do get 2ml more product that normal foundations so it might just be that I've used more product in an attempt to get more coverage. If you're after a hydrating foundation with medium coverage and are willing to spend the money to test it out, then I would recommend it. However, it's not a foundation I'm going to shout about and one I probably won't repurchase as I own similar and better foundations that give me the coverage I want. It is slightly pricey at £30 so if you tend to prefer to save your money and want a similar alternative, the Maybelline Fit Me Foundation provides similar results, without the SPF and price tag. Have you tried this foundation? What did you think?